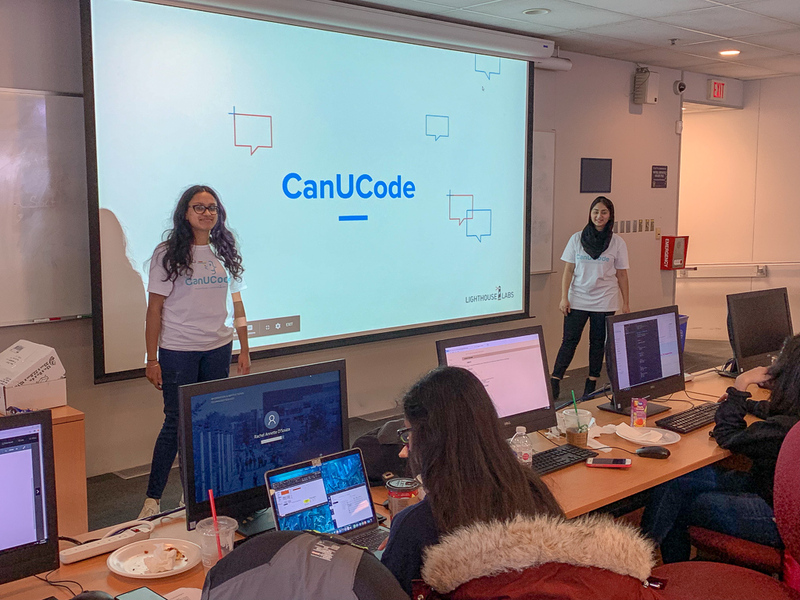 The Canadian Universities Code Competition, known as CanUCode, wrapped up at the end of March, concluding a month-long coding initiative geared towards college and university students. The HTML and CSS-focused curriculum was at the centre of the competition, as teams from across the country vied for a grand prize of $3,000 to their college or university. The $3,000 grand prize won by the University of Victoria’s “The Vikes” team, earning the highest point tally with the most team members completing the curriculum. The Vikes were largely made up of students in the Gustavson School of Business at the University of Victoria. The $1,500 runner-up prize, awarded to the team from The University of Toronto. The $500 gift card towards a team experience for the University of Toronto Scarborough Women in Computer Science, Statistics and Mathematics, for the most innovative delivery prize of the competition. The student club hosted a free in-person workshop where they mentored other students on the basics of HTML and CSS to build their own webpage. Toronto had the greatest participation among its schools with 101 members signed up for the competition including from the University of Toronto, Sheridan College, York University, Ryerson University, and George Brown College. The total number of teams from various colleges and universities who signed up for CanUCode. The greatest number of members for a CanUCode team. The University of Toronto’s CanUCode squad, which discovered the competition through UofTHacks, U of T’s annual hackathon. In total, U of T CanUCode had 48 members on its team, and helped spread the word about digital literacy through coding across campus. The number of provinces represented including British Columbia, Alberta, Ontario, Quebec, and New Brunswick. The number of different colleges and universities across Canada who had teams sign up for the competition. From as far west as the University of Victoria to as far east as the University of Calgary, CanUCode was truly a national competition. The number of days - day one, day two, and day three - one member, Adam Weiler, used CanUCode as part of their 100 Days Of Code challenge. The online initiative which is popular on social media involves coding for at least one hour every day for 100 days in order to build a habit.